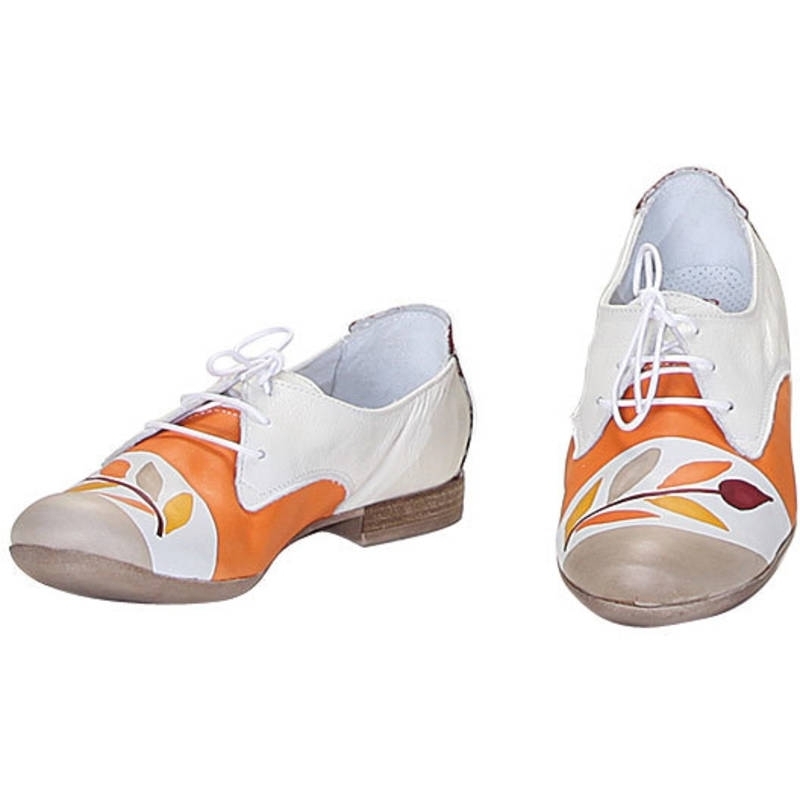 Hand painted natural leather shoes. Flat and with shoelaces, ideal for both formal and casual situations. Colors orange yellow violet and beige and pattern branch.